It has been a difficult season on the pitch for the southerns but behind the scenes they are moving forward slowly but surely. 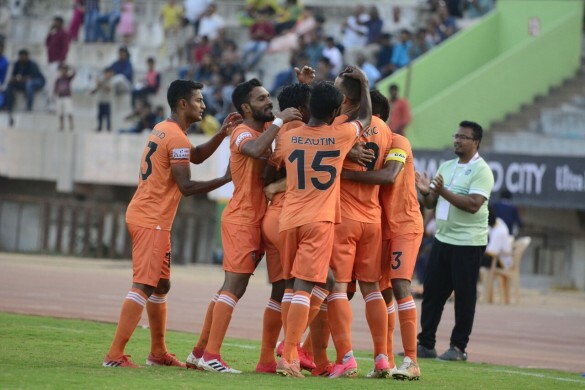 When Chennai City shifted base to Coimbatore with a little over a month left ahead of the start of the current I-League season, many expected them to outdo their first season in the top-flight in terms of disarray. However, with the season now nearing its culmination, it’s safe to say that the positives outweigh the negatives. After barely registering four-digit attendance figures in Chennai, headquarters of Tamil Nadu, which is also the unofficial sports capital of the state, they’ve now become a club that give many Indian Super League sides a run for their money, at least as far as attendance is considered. They’ve averaged 8300 in attendance this season, a stark contrast from their time when they had Jawaharlal Nehru Stadium, Chennai as their base. In fact, they now attract roughly 65 percent more fans than they did in Chennai. With their richer ISL cousins Chennaiyin Football Club now struggling to bring in as many fans as they’ve done in the previous season, their move to Coimbatore has certainly helped. 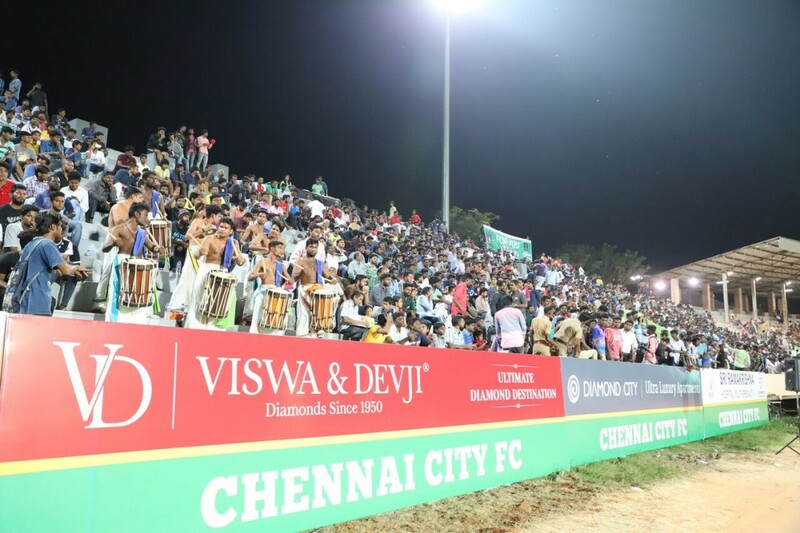 Coimbatore, the second most-happening city in the state, having been deprived of top-level sporting action for forever, have proved that Marina Arena isn’t the only place where football lovers convene in the state. However, the five-figure attendance figures haven’t come easy for the Tamil Nadu outfit side. While they couldn’t make seamless internet connection for journalists in Chennai last season, this season, they’ve learnt from their lessons, improving the condition of the pitch in Coimbatore, handing out media badges well in advance and most importantly, devising techniques that would put bums in seats. From subsidizing season tickets for college goers to offering free tickets along with Sportstar subscription, they’ve done what they can do to make the club relevant, and it’s worked. On the pitch, though, with the exception of their skipper, they haven’t improved much. With top performers from their debut season Karanjit Singh, Dhanapal Ganesh and Charles de Souza all not returning this season, they’ve banked heavily on local talents such as Antony Beautin, Edwin Sydney Vanspaul and Dharmaraj Ravanan for continuity. 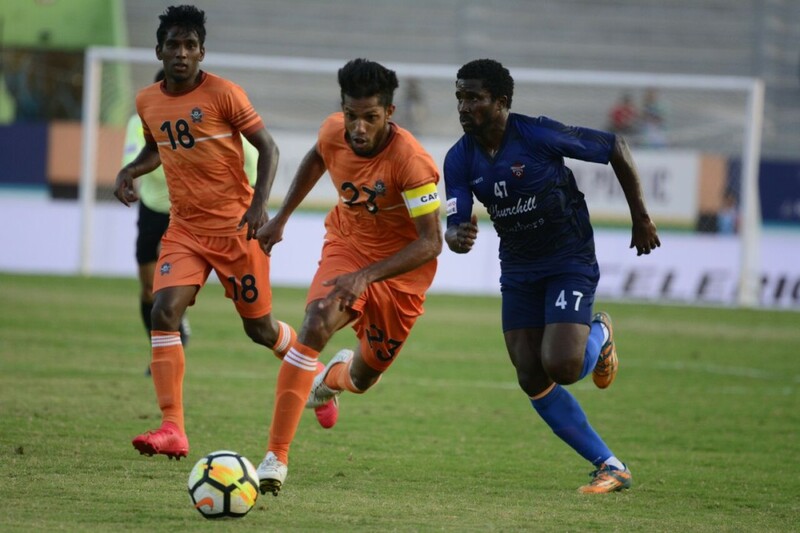 Alexander Romario Jesuraj, Pandiyan Sinivasan, Pradeep Mohanraj and others, while making them the most Tamil club in the two top flights, have also kept their chances of finishing above the relegation places alive. However, that’s about it, for coach Soundararajan hasn’t been able to inspire them to play attractive football. 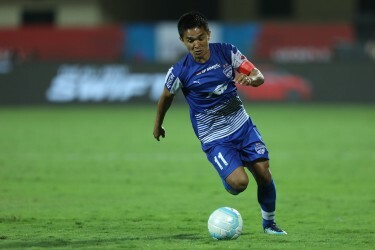 Despite that, they’ve managed to unearth a rare talent in their 22-year-old captain from Thoothoor, who from being a relative unknown in Indian football not long ago, has now had keen observers of the game suggesting that Stephen Constantine should hand him a national team call-up. His dribbling and playmaking ability seem to be on a par with any AIFF Elite Academy prospect of his age. 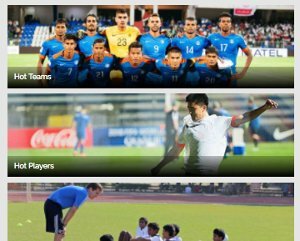 Given their financial constraints, though, they haven’t been able to keep hold their key players, with Nandhakumar Sekar’s move to Delhi Dynamos bearing testimony to their prominence or the lack thereof. 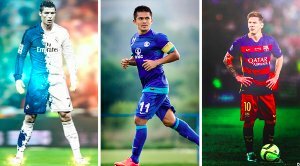 Plus, there have been talks of their captain being on the radar of numerous Indian Super League clubs. That said, the foundation has been laid for the club to slowly but surely establish themselves as a top-tier club, and nothing attests to it better than their recent 2.25 crore deal with Coimbatore Smart City Limited that will see them host league games and training sessions at Jawaharlal Nehru Stadium, Coimbatore until 2022-23. As a part of the deal, they’ll not just hand students from Corporation School students 1000 tickets per game but also induct 40 of them into their academy they intend to open shortly. One may say that Chennai City are essentially helping the city flourish while trying to stabilize themselves. Given the fact that they now have a venue where they can build on their current season’s progress and their owner’s eagerness to become one of the founding teams of the longer version of an Indian league, it’s safe to say that they’re here to stay.